ALU JOINER – we manufacture aluminium windows and doors, winter gardens, glass and aluminium facades, aluminium construction frames. The ALU JOINER company is a well recognized manufacturer of a wide range of the aluminium joinery products for construction. In our manufacturing process, we use aluminium profiles made by PONZIO, REYNAERS, BLYWEERT ALIPLAST and YAWAL, which meet top quality requirements, while maintaining reasonable prices. This, in turn, allows us to provide high quality products and competitive prices. 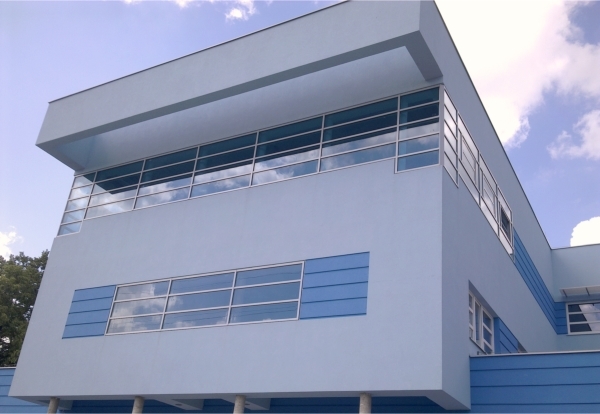 Aluminium as a material for windows, doors, facades, facade walls, sliding doors and winter gardens proves to be the ideal solution, since it requires minimum maintenance, it is flexible regarding both colours and shapes and, in addition, it is very durable and retains its good appearance for years. Each product may be executed in various colours and styles, so aluminium joinery elements are often used in the public buildings, where their durability and the long term, problem-free usability are most appreciated. Thus our Customers usually include banks, hotels, shopping malls, health care institutions, office buildings. Yet we do notice a growing trend to employ aluminium structures in residential buildings and houses. 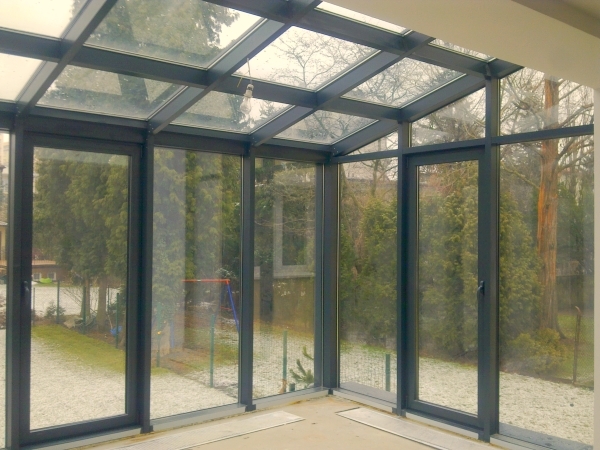 By selecting aluminium joinery elements Designers will get a lot of creative space within glazed areas of a house or a flat, while also gaining the high functionality of the structure and its weatherproof characteristics. 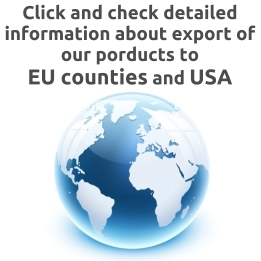 Our products are exported to European Union countries and to the US. Within EU territory we provide both transport and installation services of our products. Delivery to the US is arranged by a reliable logistic partner company, but installation needs to be taken care of by the Buyer. We guarantee the most competitive prices and short delivery times >>> click HERE for details. You will learn more about the specific products we offer using the links below. Don’t forget to view our GALLERY as well, where You will find a selection of our completed projects. Aluminium is durable, rigid and corrosion and damage resistant. Windows made of the aluminium profiles are fully weatherproof, which translates into their long term and problem-free performance. There is no need for maintenance, unlike with wooden windows. There is a wide range of possibilities to accommodate individual requirements regarding both, colours and non-typical shapes of windows and doors.